Ernst-Wilhelm Modrow was born on 5 May 1908 at Stettin in Pommern. By 1929, he was a trained pilot. From 1933 to 1937, he flew with the Colombian airline SCADTA in South America. In May 1937, he began flying postal routes in South American for Lufthansa. He continued in this role until August 1939. At the commencement of World War 2, Modrow was posted to KGr. Z.b.V. 108 flying Do 26 four-engine flying boats. He participated in the Norwegian campaign performing general reconnaisance and supply missions to Narvik in support of the German invasion. On 28 May 1940, Modrow was moored in Rombakenfjord unloading equipment when his Do 26 V1 (W.Nr. 791) “P5 + AH” was attacked and sunk by RAF Hurricane fighters. Feldwebel Modrow was badly wounded in the encounter. In March 1941, Modrow was undertaking instructor duties at Blindflugschule 1 based at Brandis. From April 1942 to April 1943, he flew Bv 222 six-engine flying boats, in the Mediterranean theatre, flying 100 supply missions in support of the beleaguered Afrika Korps. Modrow was then attached to the Eprobungsstelle Travemünde. In October 1943, Hauptmann Modrow transferred to the Nachtjagd. Following his conversion training, he was posted to 2./NJG 1. On the night of 7/8 March 1944, Modrow gained his first victory when he claimed a RAF twin-engine bomber shot down near Venlo in Holland. He added two RAF four-engine bombers to his tally on 31 March, both his victims falling near Abbeville in France. Modrow was appointed Staffelkapitän of 1./NJG 1 on 1 April 1944. He recorded 10 victories during May and nine in June, including a RAF Mosquito twin-engine bomber on the night of 10/11 June (19), three victories on the night of 12/13 June (20-22) and four victories on the night of 21/22 June (23-26).  Hauptmann Modrow was awarded the Ritterkreuz on 19 August for 27 victories. On the night of 23/24 September, he claimed two RAF four-engine bombers shot down near Düsseldorf (29-30). He gained his 34th, and last, victory on the night of 5/6 January 1945. 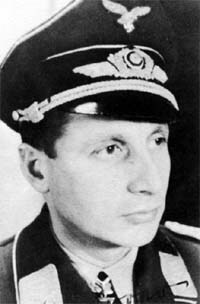 Ernst-Wilhelm Modrow was credited with 34 victories in 259 missions, including 109 missions as a night fighter pilot. All his victories were recorded at night.